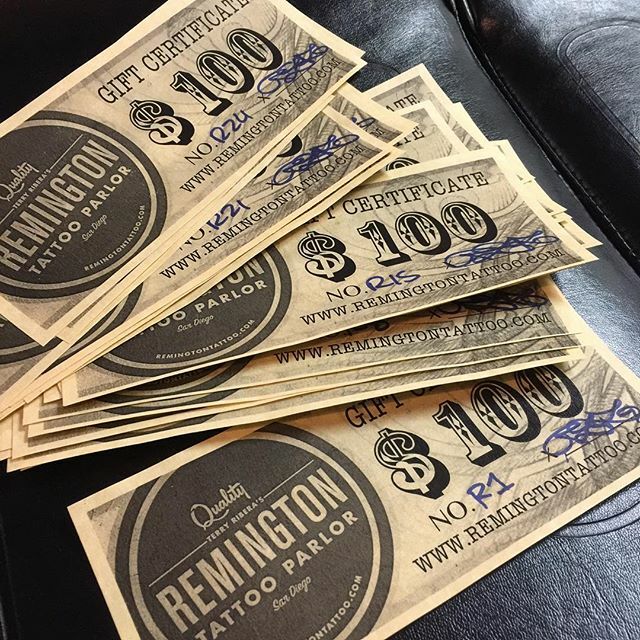 Remington Tattoo Gift certificates are back in stock. Sold in $100 increments. Available for purchase in the shop Wednesdays – Saturday’s only, please call ahead for availability.